I just joined It Works! as an independent distributor! Most of us who are on social media, like I am, have seen It Works! wraps. After seeing 100's of Before and After pictures I decided to take the plunge. As most of you know I lost a ton of weight about 5 years ago. Then due to medications I gained most back. I could go and just buy the wraps...But why not make money? To start as a distributor my kit was only $99. That's the price of a few drinks or dinner out. 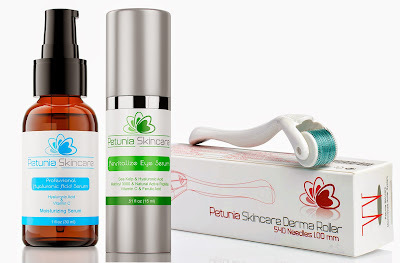 1.0mm Derma Roller + Eye Serum + Anti-aging Serum Review! 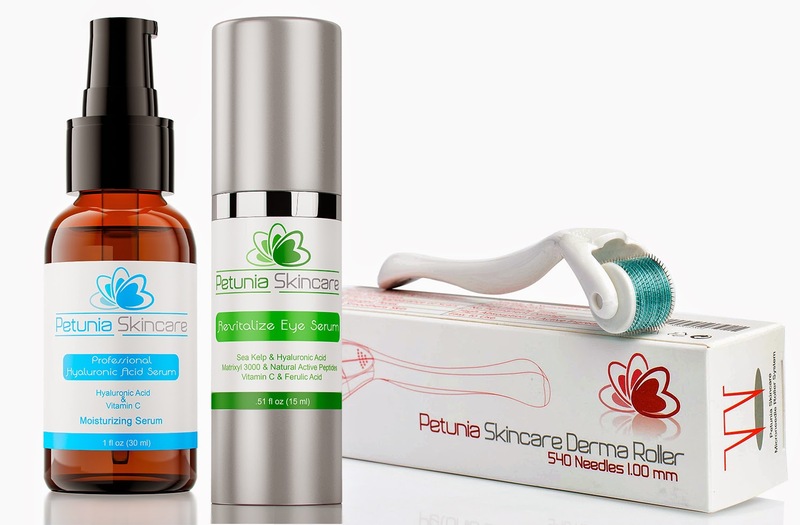 For this review I will be reviewing three items from Petunia Skincare. I did use these items together so I decided to combine them all in my review. Overall I did like the entire line. My only dislike was the eye serum. The one I normally use I do prefer. If your wondering how I used these products. I would use the eye serum and face serum during the day. At night after I washed my face, I would use the derma roller and follow with the anti aging serum. Petunia Eye Serum- This was my least favorite product. It did tighten my eyes but on multiple ocassions it seemed to get crispy. As in I had to rub off dry flakes of the product. This only happened on some ocassions, so I am not sure if I applied it to heavy. But with my normal serum I never had to worry about it. So I am unsure. Anti-Aging Serum- I liked this product when I used it in combination with the derma roller I noticed a difference in my skin. After a couple of weeks it was smoother. I also used this under my foundation. My makeup seemed to wash off easier when I did. 1.0mm Derma Roller- This was actually my FAVORITE item I tried. This is the second roller I have ever used. I liked this one better then my first. The roller is smaller so the pins are closer together. So it does not feel so odd going over your skin. My other roller's gaps make it feel more prickly, if that makes sense. Wanna try these products for yourself? Pick them up on Amazon. Modal Concept tote from Best Buy! We all know Mother's Day is coming. Are you prepared to give the Mom in your life a gift? If your like me you procrastinate. It is not our fault, work, kids, school, and everyday life gets in the way. So what are you going to get the Mom in your life? The same perfume? A Robe and PJs? Those are all great ideas but how about something for the Mom on the go, or the Mom who is hard to shop for. Thermo pocket: For your lunch, snacks, or even a hot flat iron. Laptop, tablet, and phone shaped pockets: makes for a quick trip from work/school to gym. 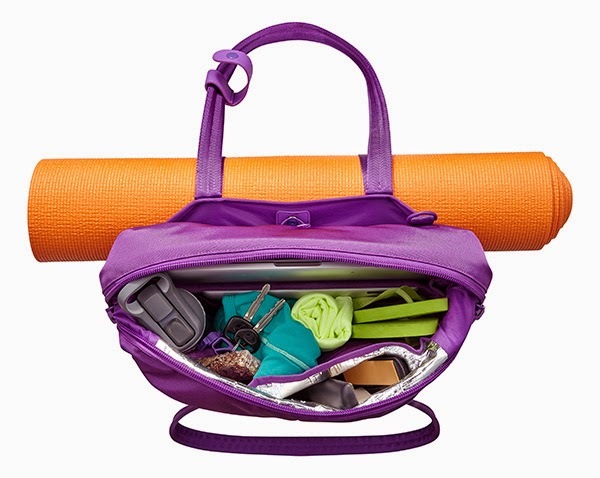 Moisture Resistant Fitness gear pockets: For shoes or wet swimwear. Sunglasses pocket and much more. Free In-Store pickup, in as little as 45 minutes. Here is a great video from BestBuy with the Modal bag. As you know I am a Mom on the go. Blogging, work, kids, and dieting. It is a busy life. Yet I am trying to fit the gym in more. With the Model tote I can drag work, gym and anything else with me. 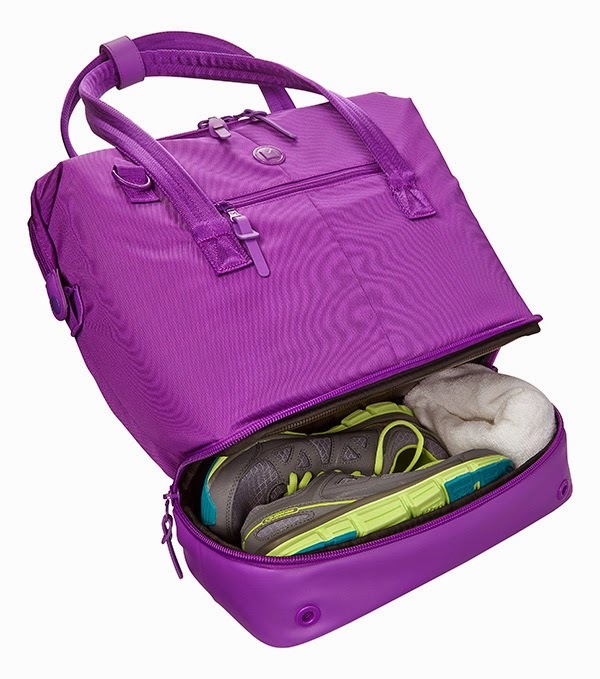 I loved the bottom pocket so I can carry shoes without having to carry them in a grocery bag, or have them make my clothes dirty in a duffle bag. I also love that you can use it with handles or the optional strap to wear it over the shoulder. Depending on my day plans, is how I chose which. The thermal pocket is great for my curling iron. I never would take it because I would have to wait too long for it too cool. Now I can take it anywhere! 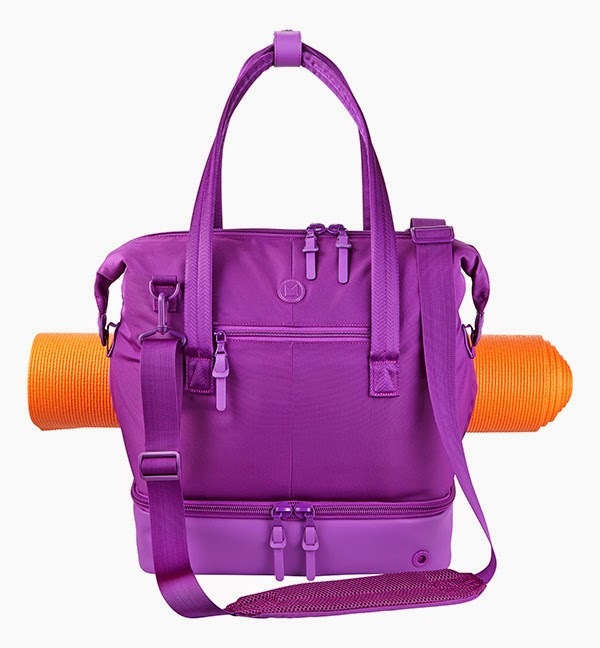 I have to say this is a great bag for the Mom on the go. Wanna order the Model Concept tote from BestBuy?